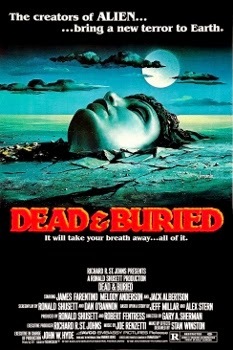 Dead & Buried was released on May 29th, 1981. Filming locations include Mendocino, CA. The road on the bluffs, was that on stage or small scale model or was that a real location in California too? Jon, thank you for pointing that out. Other than it's proximity to Mendocino, I always assumed it was the Big River Bridge and it had just been rebuilt at some point since the film came out in 1981 but I was incorrect.